Derrick Kosinski & Scott Yager are joined by Gus Smyrnios. Gus Smyrnios (@GusSmyrnios) is one of the stars of Floribama Shore. He recently made his Challenge debut on War on the Worlds, where he and Jenna made it all the way to episode 8. Gus joins Derrick (@DerrickMTV) and Scott (@SHOTOFYAGER) to talk about landing his own show, when the cast found out exactly what show they were cast for, making the transition from Floribama to The Challenge, almost getting his teeth knocked out, ... See More aligning with Wes & Hunter, battling with Bear, what's in store for his future on both shows and MUCH MORE! 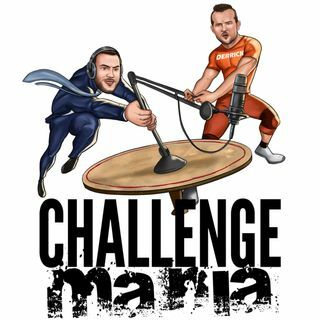 For MORE Challenge Mania including weekly bonus episodes each Wednesday where we break down that night's episode of War of the Worlds, head over to www.Patreon.com/ChallengeMania and become a Maniac-level patron for access to THE WAR ROOM! The Challenge Mania Shop is always open. Head over to www.ChallengeMania.Shop to see our latest designs and pick them up on a whole slew of products, from sweatshirts to tank tops and for Men, Women and Children! Brumate is the best way to keep your beverages cold ALL the time. We love their product and you can get 15% off by going to www.Brumate.com and using the code MANIA.